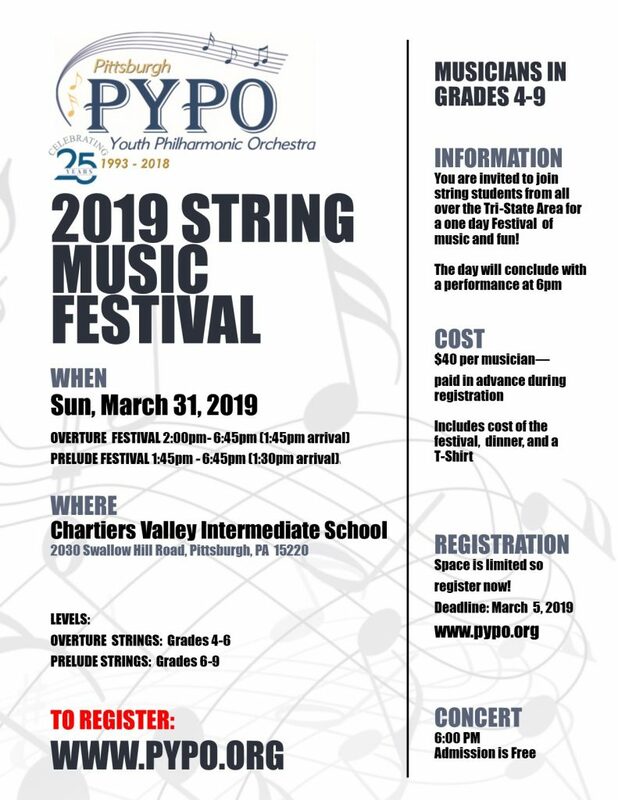 Join the musicians of PYPO’s Overture Strings, Prelude Strings and Prelude Chamber Strings and over 70 visiting string musicians from all over the Tri-State Area for a Festival Concert this Sunday, March 31, 2019 at 6:00PM at Chartiers Valley Intermediate School. The concert is free and open to the public. Congratulations to PYPO’s Prelude and Overture Bands, Bethel Park’s Neil Armstrong Middle School’s 6th Grade Band and Carlynton 6th Grade Band for a great PYPO Band Festival! Check back in late 2019 for information on he 2020 Festival!